‘Prolific’ is a word that I have to use when you talk about album releases from the Geof Whitely Project. 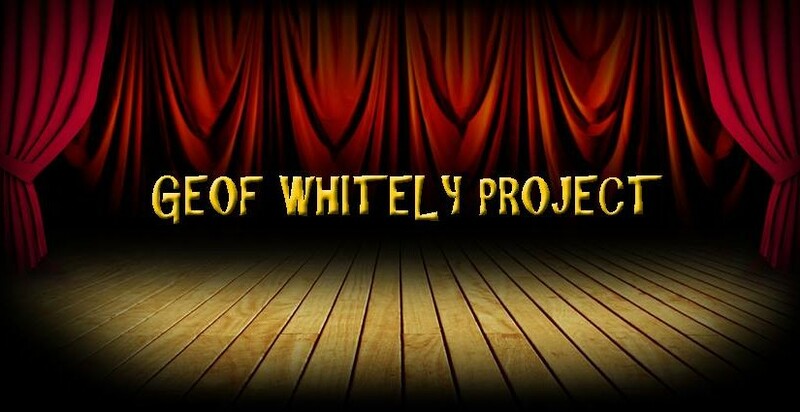 The man behind this musical phenomenon, Arny Wheatley, has released a bewildering number of albums over the last few years and it is a testament to his songwriting that they have remained high calibre with no loss in quality or content. 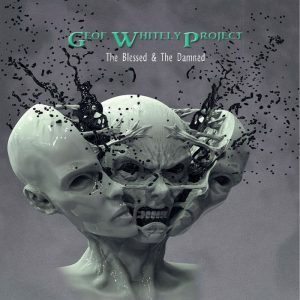 So, imagine the shock when it was announced that ‘Sempiternal’ would be the only album release from the Geof Whitely Project in 2018? Well, if it is going to be the solitary one, it had better be good eh? Arny always seems to give some a little different but without straying too far from his so far successful formula and the new release is no exception, delivering powerful and brooding tracks like opener Stir of Echoes. It’s perhaps the most dark and serious track on the album and it really hits a nerve with me, lengthy at over nine minutes, there is no wasted space and every note has meaning. There’s a lifting of the obfuscation with Hidden Depths but not the serious overtones, a really mature piece of music where Arny’s thoughtful vocals work their usual magic. 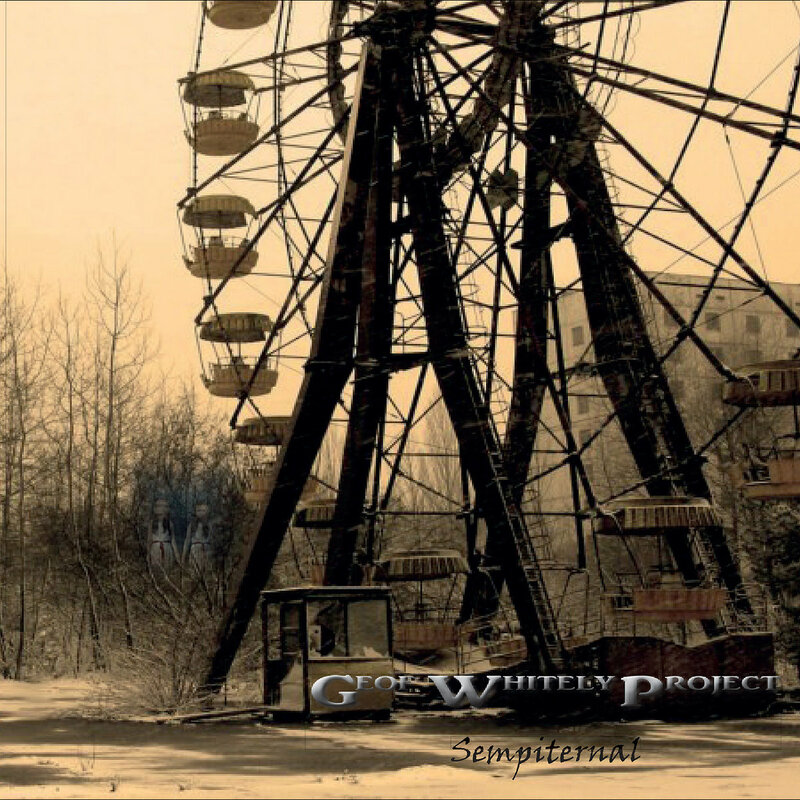 The signature keys and guitar sound all add to the mix to give another melancholy and yet contemplative track. A wistful and reflective two minutes follows with the measured instrumental delights of Isolation. Like a calm oasis, it mops your fevered brow before you carry on further on your musical exploration. Low End Distortion has a slow burning intro before an aggressive riff takes over and gives it a seriously edgy feel. This is a real departure from the signature sound, a more hard rock infused track that Arny pulls off really well. That driving riff is the key to the song, powered on by the effective and dynamic rhythm section. 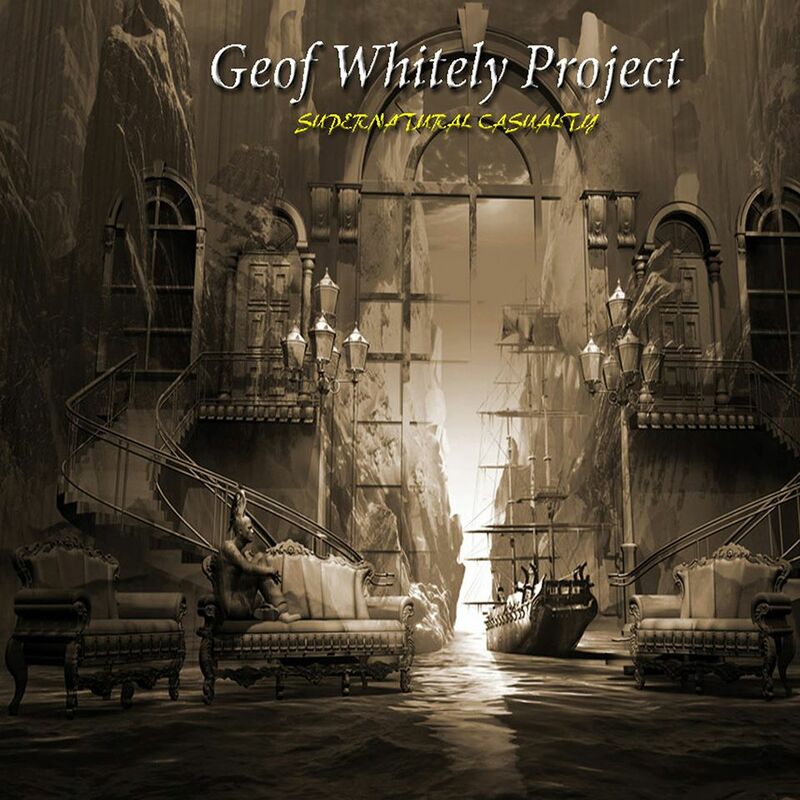 Arny takes the vocal duties in his stride as usual and you are left with one of the best Geof Whitely Project tracks I’ve had the pleasure to listen to. A stirring and involving song, Overseer is measured and studied, the sax style keyboards are a real delight and instill a real grace and calmness to the music. This is a track with real passion at its core and Arny’s sparse vocal delivers that with aplomb. Another fast paced, rockier piece, Fairground Distraction even gets my foot tapping to the beat. I like this edgier, more vibrant direction that Arny takes on these tracks, giving them a dynamic and energetic flow that you really engage with. There’s a lovely piano tinged opening to the emotive Momentary Lapse and its steady,measured pace does remind you of a certain Pink Floyd in places, Arny’s voice even sounding David Gilmour like (that could just be me though!). It is a moving and poignant sounding piece of music that once again shows that Arny is at the top of his game here, just check out the instrumental section around two thirds of the way through and you’ll know what I mean. A powerfully inspiring song that I really like. Ooh another guitar riff! The Voice isn’t as in your face as the earlier, harder tracks but has a great opening that includes a forceful riff and potent rhythm section that imbue it with authority and stature. The verses have a more reflective feel to them but the chorus is significant and substantial and the juxtaposition between the two works exceedingly well. The final track on the album is On a Strange Tide and it has feel of Floyd to its opening again, a bit ‘Shine On..’ with its mysterious and moody synth sound that builds slowly. A wistful and nostalgic song that has a hint of melancholy running through it. Arny’s voice is reflective and musing and the music has a touch of longing at its centre. 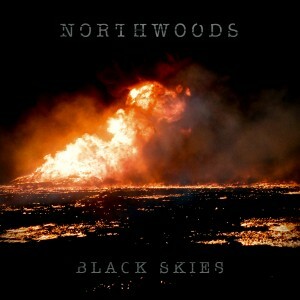 Swirling synths and brooding guitars abound and there’s a weighty and significant atmosphere that builds all around. A serious and meaningful track to close out this impressive album. 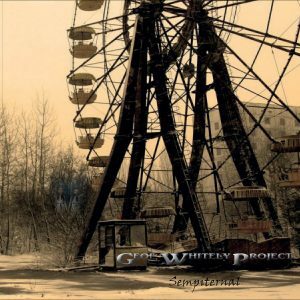 Well, if ‘Sempiternal’ is the Geof Whitely Project’s only album release of this calendar year then Arny has delivered what is, in my opinion, far and away the best GWP record so far. High praise that may sound like but it is worth every word. A more expansive and harder sound combined with some excellent songwriting, one not to be missed. 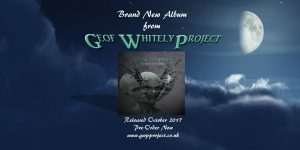 He’s a prolific fellow that Arny Wheatley, the creative mind behind the Geof Whitely releases an astounding amount of new albums, surely the quality will have to dip at some point? Well it hasn’t since I got involved with reviewing the releases and December will see the latest record from this musical project see the light of day. 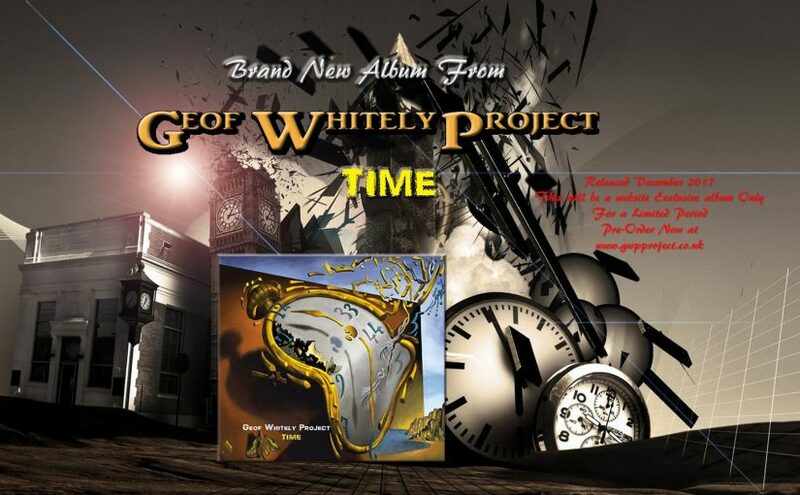 In a break from the norm ‘Time’ will only be available in CD format and exclusively from the website only in CD format and a limited edition of 300. In a further change to the standard format, this album is shorter and features only 6 tracks. We start with the dark and atmospheric Deadly Alliance. That signature base sound is present and correct but, carrying on from the slight deviation we heard in ‘The Blessed & The Damned’, Arny adds some subtle nuances. The keyboards and resonating guitar add a real sombre note and serious tone, it’s a great direction to take. A tasteful piano introduces Stay before the yearning vocal joins in. A wistful and slightly melancholy song of hope and one that sees yet another sonic string added to this talented musicians bow. Within the loose strictures of the recognisable Geof Whitely Project sound are now thrown some really interesting variations and it works very well. Title track Time has a seasonal, festive feel to it as it begins with its bells and horns and exudes a feelgood aura. Arny’s vocal adds some seriousness and authority along with the powerful guitar and dynamic drums to replace this almost pastoral tone with something a bit more rock influenced. An effective and compelling piece of music, it holds your attention as it takes its measured strides along a vibrant musical journey. Sometimes sees that contemplative and thoughtful feel return, the vocals have a pensive edge and the keyboards give a wintry sheen to everything. A polished and reflective song that certainly left me reflecting on my past, there’s a real maturity to Arny’s songwriting that is pretty evident on tracks like this. An elegant guitar and reflective keyboard open Runaway Express before a heavier guitar stirs things up. The emotive vocals grab you straight away with their really meaningful delivery and give the song a thoughtful and determined mood. The occasional lighter feel of Geof Whitely Project albums has been replaced by a more serious and sober intent which is highly evident on this cultured and stylish track. All too soon we come to the album closer Out of Touch and Arny throws another little curveball in with its Floyd-esque intro, there’s intelligence and some not inconsiderable subtlety in the songwriting on this album and it manifests itself perfectly on this track. 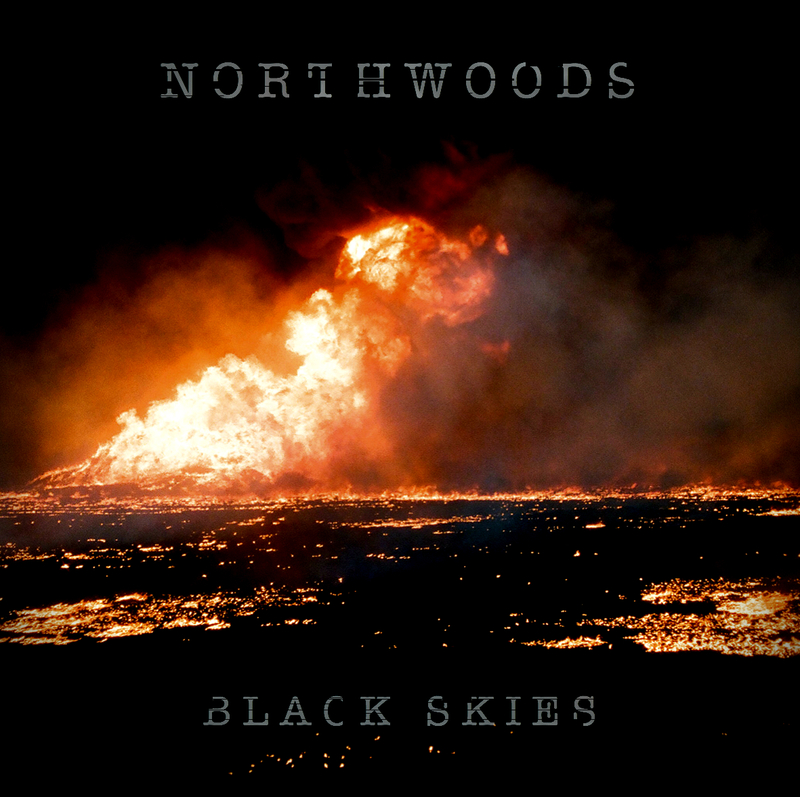 Measured and brooding in delivery, both the music and the vocals have an earnest honesty to them and make for a compelling listening experience. ‘If it ain’t broke, don’t fix it’ but, as Arny keeps showing us, that doesn’t mean you can’t make little improvements to every release to keep on improving your music without losing its original identity. I personally think ‘Time’ sees the Geof Whitely Project at the zenith of their creativity so far and am intrigued to see where Arny will go next! You have to be wary of repetition, it can become tedious and monotonous if there is no progression or marked difference between pieces of work, after all, familiarity is supposed to breed contempt, isn’t it? One of the most intriguing artists I have had the pleasure to listen to this year is the Geof Whitely Project. 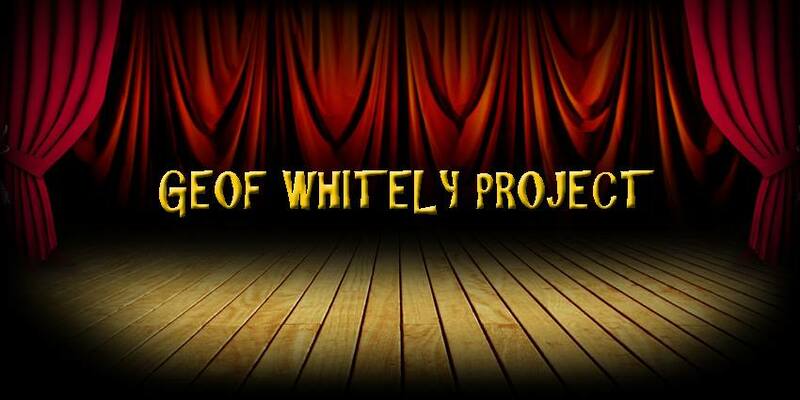 Actually a one man band, Arny Wheatley, there can be no more prolific artist operating today as he releases new albums every couple of months. There are obvious pros and cons to doing it this way and I was left slightly underwhelmed by the last release that I reviewed, ‘Circus of Horrors’, feeling that it was too similar to recent works. Now, ever one to take criticism on board, Arny has returned with ‘Between 2 Worlds’ and I shall give it the once over to see if he has rediscovered that creative spark. 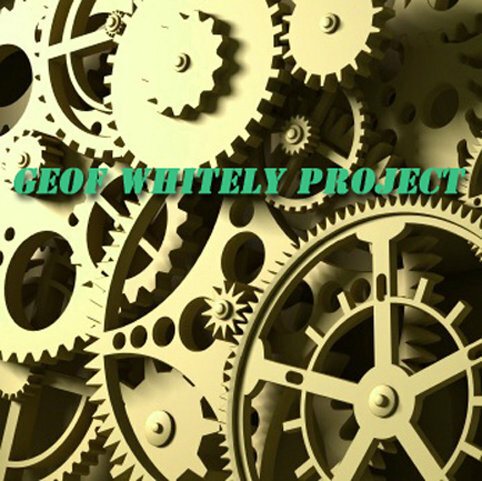 The opening track Quest has that laid back style that is the Geof Whitely Project hallmark and retains the laconic vocal delivery. 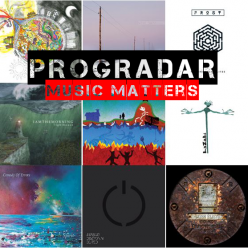 There does seems to be some added zest, a more intense delivery and a lot more of the ardent guitar work that gives extra lustre to the calm and collected keyboards. No need to go back to the drawing board, just minor alterations that add up to something more profound. Long Time Gone has a lighter note to it, a more refined introduction and a more moderate delivery that reminds me a bit of Fractal Mirror. It walks a tricky line and, thankfully, never strays into the mundane and bland, retaining a sunny disposition and platonic edge. The nicely judged percussion and keyboards take you on a gentle ride into Arny’s musical mind and it is a pleasant place, although there is a hint of melancholy hidden just below the surface. That sugar coated tone runs throughout Never Really Know but always with a hint of caution. The clever lyrics betray a slightly darker side to the music and keep your attention focused on the story, the excellent instrumental break in the centre of the track is like a well knowing nod to the 80’s. I don’t know whether it is meant to, but I am left in mind of a snowy winter’s scene that could end in either happiness or sadness. The signature keyboard introduction opens Throwing Shadows, a song with a serious and slightly darker note as it strides purposefully into your psyche. The sweetness and light is replaced by something with an altogether sinister motive, this is the Geof Whitely Project showing there is a dark side to its Moon and I think it is a clever change of direction. The slightly understated yet heavy riff adds to the mysterious air that pervades and gives added dramatic effect and gravitas. On Reflection begins in a very subdued manner, laid back and open-hearted. A wistful, almost nostalgic note enters into the vocals, perhaps mindful of things or people lost and never recovered. Thoughtful, reflective and with a heavy dose of regret, this track really works its way under your skin and touches your heart in a forlorn manner. A really nice song but one that just leaves you feeling a little bit sad. 80’s style keyboards open Everyday my Heart and it really does feel like you’ve been transported back over three decades to a time that you may have wished you’d forgotten. It’s really a quite hopeful track and lifts the slight melancholia that had persisted from the previous track. The songwriting on this latest album has really gone up a notch, leaving little nuggets for you to find. The next song on the album is the longest track, Compendium weighs in at just over ten minutes and begins in quite an auspicious manner. There is a feeling of depth to the song, a deep seated sense of contemplation. There is a decision to make, a life changing scenario and the deliberate and contemplative atmosphere is transferred across perfectly by the music. 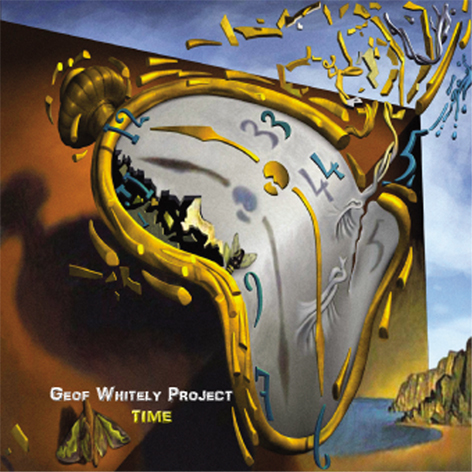 A comprehensive and profound musical workout for your brain that makes you think, one of the best songs I have ever heard from the Geof Whitely Project. The change from the quiet and sombre to the excellent guitar solo is brilliant and really knocks you for six, the guitar playing is quite exemplary. Title track Between 2 Worlds leaves you deep in thought with its absorbing tone, seemingly musing on life the Universe and everything. 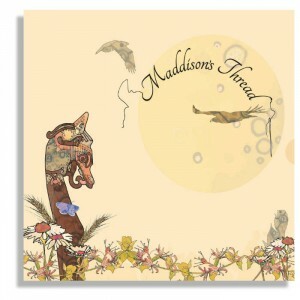 Profound lyrics and an attentive melody leave you in a speculative mood. I really enjoyed the thoughtful feel that it engendered as it left me ruminating on my whole existence, another track that seemingly has some left-field influence. The final track on the album is Living Your Life and it has an edgy note running through it from the beginning. A quicker paced riff gives you a feel of life lived in the fast lane but with a note of caution. 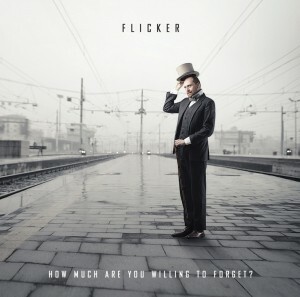 No-nonsense and earnest with yet more layers of 80’s keyboards, it leaves more questions than answers and brings the album to a close on a meditative and reflective note. 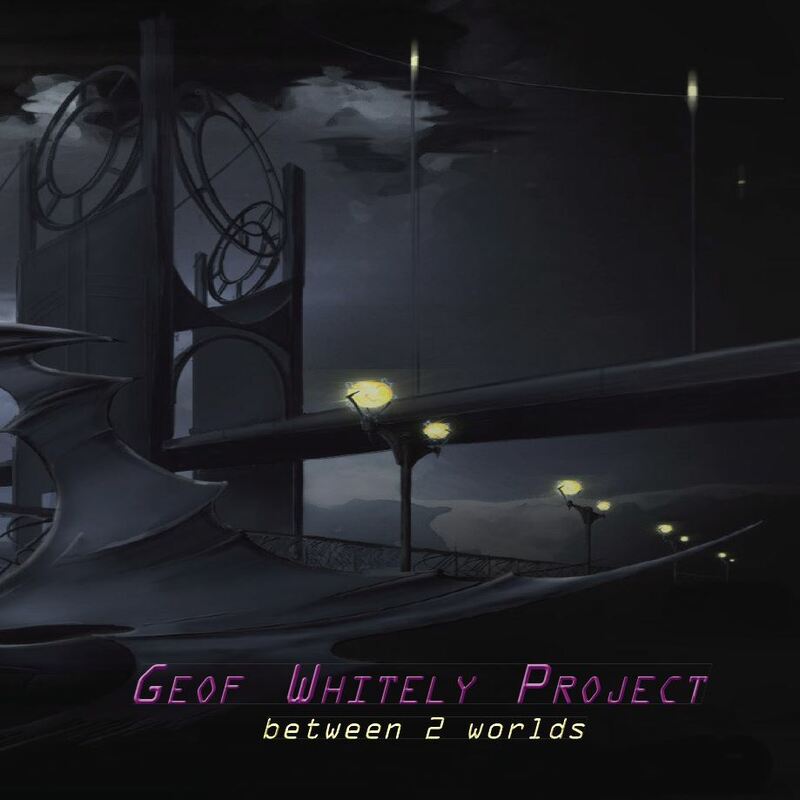 ‘Between 2 Worlds’ is a complex and extremely interesting musical journey that showcases where the Geof Whitely Project is going musically. The last album left me feeling ever so slightly short-changed but, with this new release, my faith has been completely restored. Right, are we ready now? Those words can be used to apply the meaning in many walks of life and, also, in music. Sometimes (and it seems especially in progressive music) we seem to be searching for the most intricate and complicated. Maybe this is to stand out from the crowd, maybe it is just one-upmanship? Who knows, if it is not convoluted enough, it can tend to be consigned to the metaphorical dustbin. What is wrong with simplicity, if it is good enough being kept to the bare basics then why not run with it? I am as guilty as the next man for searching for twenty-four minute prog suites with meandering overtures and endless guitar and bass solos but, when you want a minute to yourself and your life to be a bit more uncluttered, there is some music out there that is perfectly suited, and perfectly good enough, for that mood. I have oft spoken about how being a music journalist can elicit some very pleasant unexpected surprises and, as recent as last week, another one arrived unannounced at Progradar Towers. 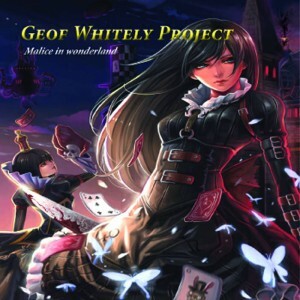 I had never heard of the Geof Whitely Project before but, thanks to a fellow music loving friend on social media, Brasil Bond, I am now acutely aware of this intriguing musical outfit. 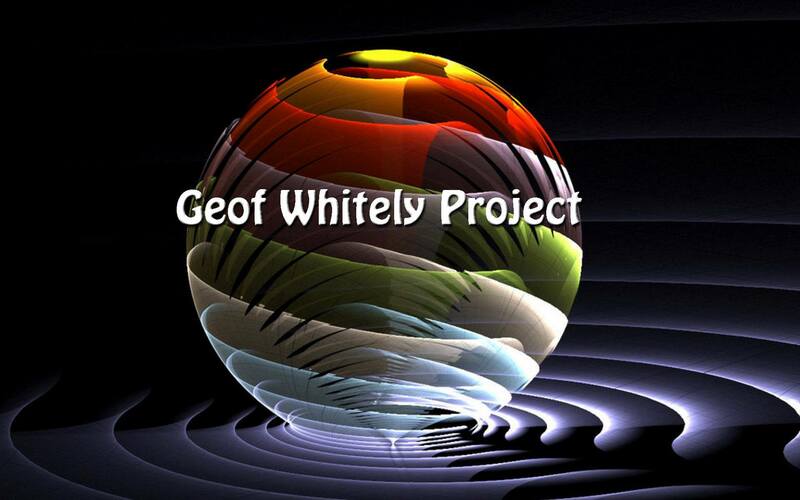 There is a bit of mystery surrounding this musical enigma, information is hard to come by so I did the digging so you, my friends, don’t have to…..
“The Geof Whitely Project was formed in 2011, it consists of Geof Whitely and special guest Musicians, the aim of the project is to put out original material in all types of musical formats from Prog Rock-Rock-Pop-Electronic-Instrumental. It also appears that their biggest critic is Jasper the cat, being a cat owner myself, I can relate to that. Well let’s cut through the shroud of mystery shall we because, having spoken to the musician behind the whole conundrum, I can reveal that there is no such person as Geof Whitely!!! Having released around six full length albums already, Arny is not one to stand still, he already has another three new albums due out for release and that doesn’t include ‘Supernatural Casualty’ which releases on 3rd August 2015. As I said, prolific!!! 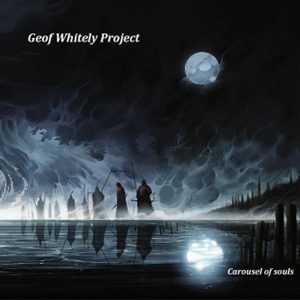 Before we get onto ‘Supernatural Casualty’ I’d like to take a short trip and delve into the Geof Whitely Project back catalogue and focus on two of the previous releases…. 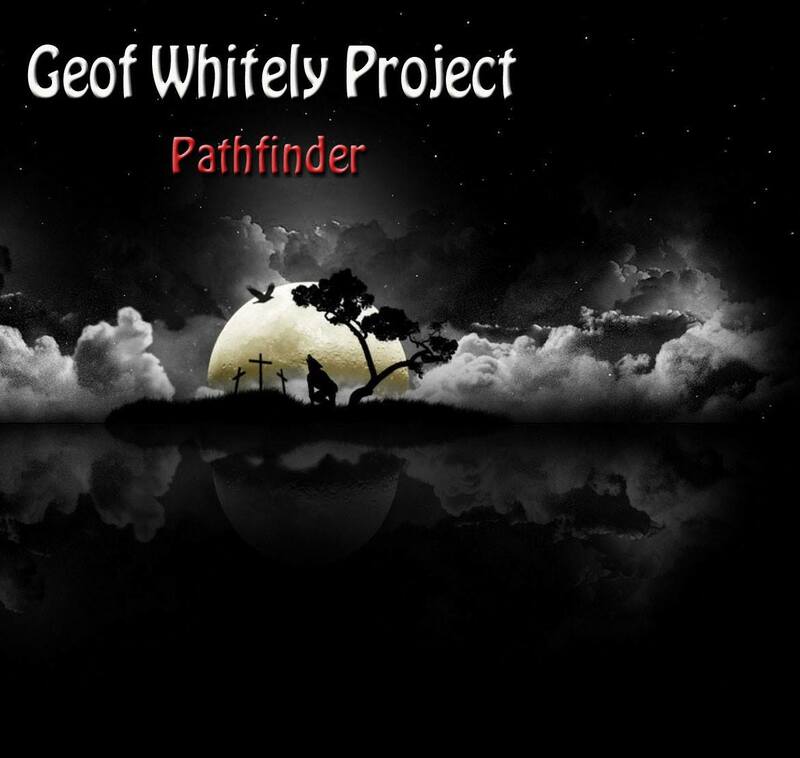 Released in March 2014 ‘Pathfinder’ has huge cinematic soundscape at it’s heart. Haunting guitars and expressive keyboards form the backbone on which this electronic rock inspired release can build. The vocals are precise and, despite being mainly monotone, extremely expressive. The opening track Ship to Shore gives a very promising initial impression and this carries on through the album. 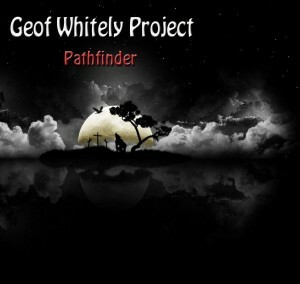 Other highlights include the the jazz influenced Chinese Burn and title track Pathfinder. 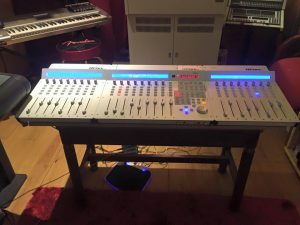 There is a simplistic design to the music that can only be admired, the 80’s influenced keyboards are particularly memorable, especially on At Times and The Riddle. The guitar work throughout is exemplary and reaches an entertaining peak on The Real Me and closing track Keeper of the Light, enforcing the underlying darker tone of this release. 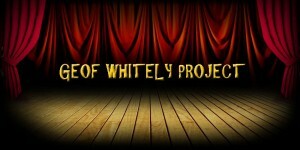 All in all, my first exposure to the Geof Whitely Project has been a very enjoyable one. Released in February 2015 ‘Outlaw of Our Time’ takes a lighter, more commercial route than ‘Pathfinder’. 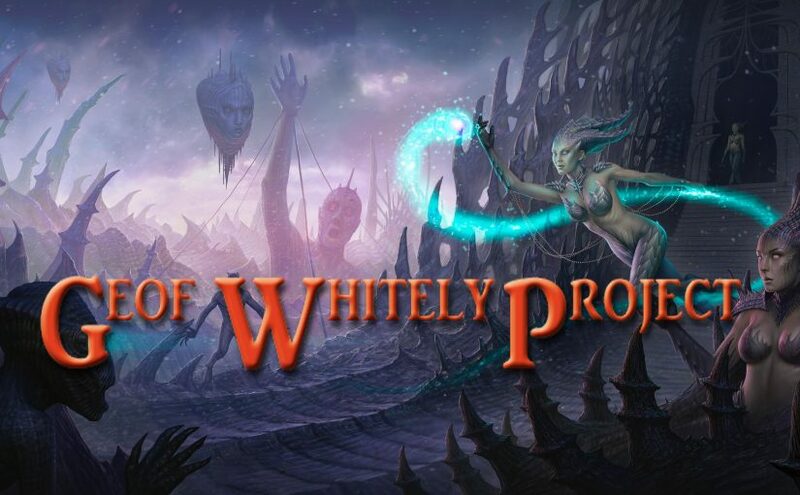 The overall feel to the album brings thoughts of Asia, Foreigner and other AOR bands, there is even a touch of E.L.O in the vocal style and semi-orchestral feel. 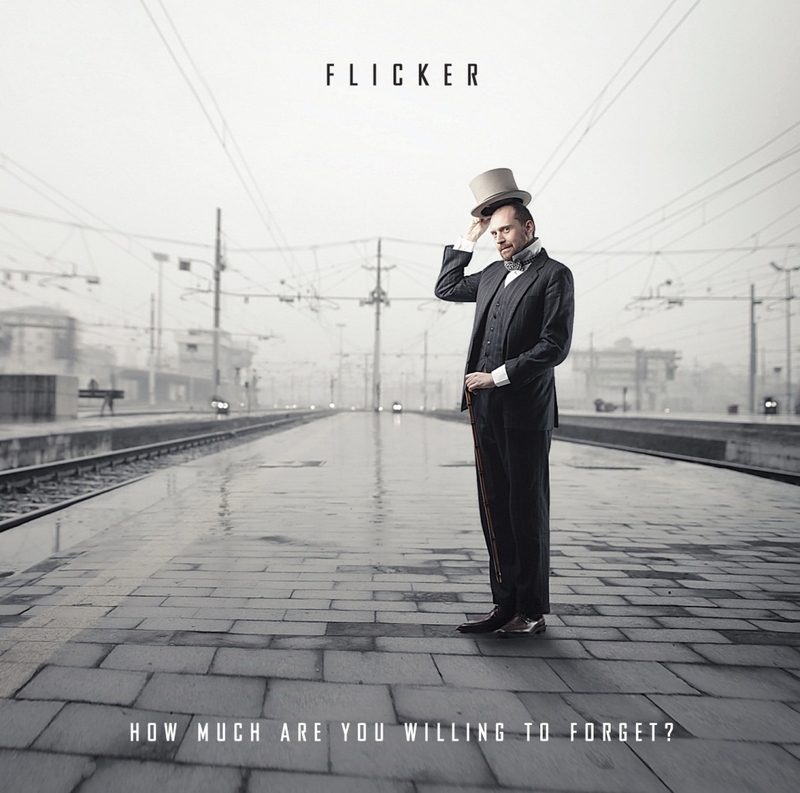 Opening track Fibreoptic is a delightfully reminiscent of the synth inspired rock of the 80’s with a Georgio Moroder inspired keyboard that morphs into a guitar driven verse that Jeff Lynne would be proud of. The album segues though heavy electronica influence with Souless Night Driver, a considered and melodramatic track, to the ambient dance feel of Ricochet and back through the melancholia of Outstretched Hands to the World. I get a real feel of the cinematic, ethereal atmospherics of Fractal Mirror running through this album, it is there in the background on tracks like Mediation, How Can One and Slow Motion, especially with the organ styled keyboard playing which gives a sci-fi inspired note to the music. The vocals also conjure up thoughts of my good friend Mike Kershaw, measured and monotone they may be but extremely expressive with it. This comparison is most evident on Siren of the Sea, which has to take the gong of being my favourite track on the album. With its oriental influences and downbeat rhythm, there is an aura of David Sylvian all over this song and the meandering, intense guitar playing is a highlight of the whole album. The album runs out with three extended tracks that all run with a laconic mood, pensive and wistful. Blind Faith, Gate to the West and Transatlantic Ghosts take a deeper, more thoughtful route through your mind yet still retain a simplicity, a lack of over-complication at their core. It is perhaps more ‘music that seeps into your sub conscious’ than easy listening with the more serious tone that they have. They close out the album on a very sombre note, I found my self getting lost in the midst of the final track. Now onto the main course…….. The album that started my odyssey, ‘Supernatural Casualty is due to be released on August 3rd this year. 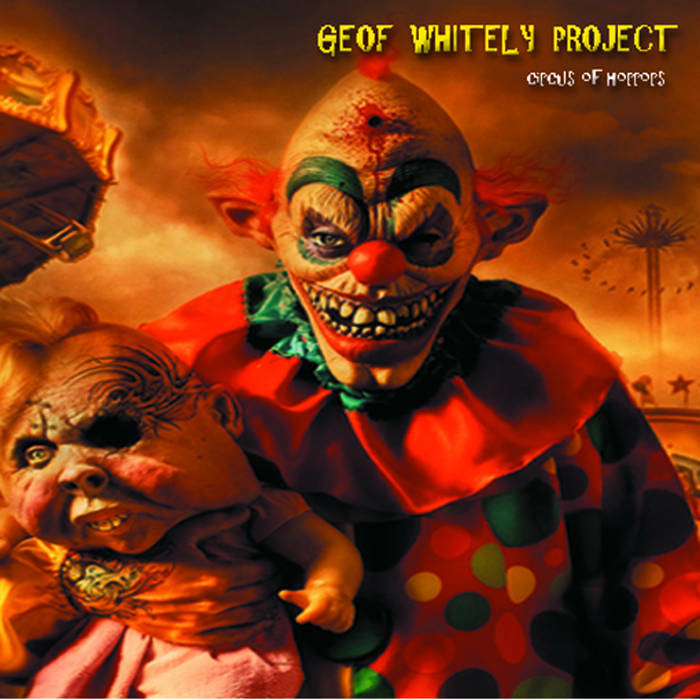 All the Geof Whitely Project releases have interesting artwork and this is one of the best, I do tend to gravitate towards albums whose artwork I like and this was no exception. Mixing Marillion with costume drama and theatricals, opening track Assassin is quite an addictive one with a dark edge to the guitar riff and moody keyboards. The vocals are neat and demonstrative and suit the music perfectly. The song has an apprehensive feel, as if you are waiting for something to happen and not necessarily something good! An intriguing opening track with its early 90’s feel. Healing has an unhurried rhythm to it, mournful and pensive with the delicate piano and trite vocal. 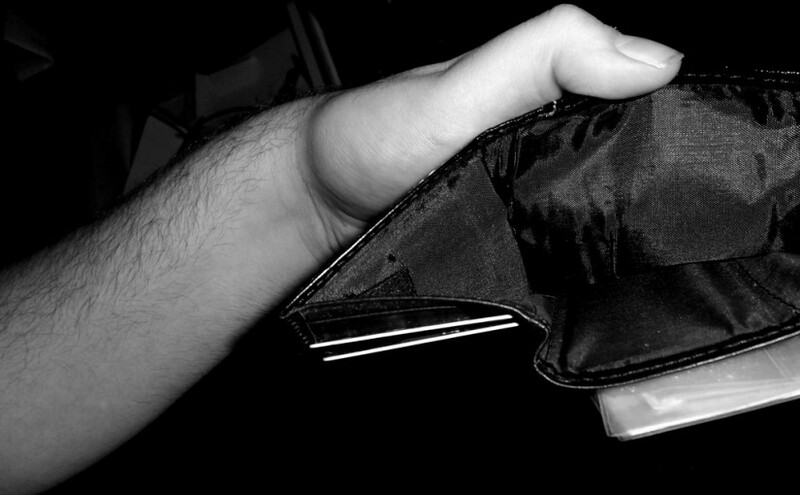 Definitely not one for the depressed among us! There is stark beauty to its pared back and downcast delivery though. A heraldic keyboard note introduces The Secret, a track that wouldn’t be out of place on a film soundtrack. A nostalgic, gentle wistfulness plays out before you, the vocals heavy-hearted and imparting world weary experience to the proceedings. Interstellar, whilst not being full of joie de vivre, lifts the mood somewhat with its homage to a mix of early Ultravox with a smidgen of Steve Strange thrown in for good measure. As I’ve said before, there is nothing too complicated going on here but what you do have is transparent and honest and thoroughly enjoyable. Piano is king at the start of House of the Holy, blended with the saxophone like keyboard, it leaves an entirely palatable taste in the mouth. One more turn of the knob of mood lightening and you can feel a measure of hope creeping into what was despondency before. This ambience runs through the vocals and the whole tone, this is one track where the Mike Kershaw comparison is at its height. The guitar at the end is a particular high point. Welcome to the Darkside (how many of you wanted to finish that sentence with ‘Luke’ ?) would indicate that we are going to regress but, no, not to my ears anyway. 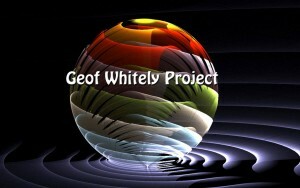 There is an inspirative timbre to the vocals that works counterpoint to the contemplative music in a very clever way. The beat leaps forward a couple of notches with F1, the lyrics in deference to that greatest of motorsports. A powerful riff runs in the background giving the whole song momentum and drive. I’d see this as a modern version of Kraftwerk’s ‘Tour de France dedicated to a different sport as the electronic beats vie with the sound of Formula 1 engines. I like the way that Hideaway invokes memories of bygone days, sepia tinged and rose tinted. Almost ballad like, it is a really nice song that leaves me feeling warm inside. That glowing feeling continues with No Way of Knowing, the vibe seems to have gone across to ‘singer-songwriter’ with an electronic bent and I think it works really well. Again, pared back simplicity is key to how this works so well. Piano and sax inspired keyboard notes cover everything with a velvety layer of sophistication and that feeling of fulfillment remains. Apparition begins with a spooky, sci-fi inspired intro that opens up with a feeling of yearning into an aspirational song. Another track with an 80’s synthesiser inspired sound that resonates with me as a listener. Measured and metronomic in its timbre, it lulls you into a longed for sense of security. The flute like intro to Embargo is very catchy and the whole song really lifts you up as if the sun has started shining on a rainy day. It trips along gaily, dragging you along with its good humour and exhilaration. There is a childlike impishness to the song, guileless and trusting, fans of Tiger Moth Tales will know where I am coming from. Tide is Turning brings gravitas and maturity back and is a more mainstream rock track than some of the others on the album. There is a meditative and reflective quality to this piece and a respectful note to the vocals that adds a wealth and depth of experience to all aspects of the song. 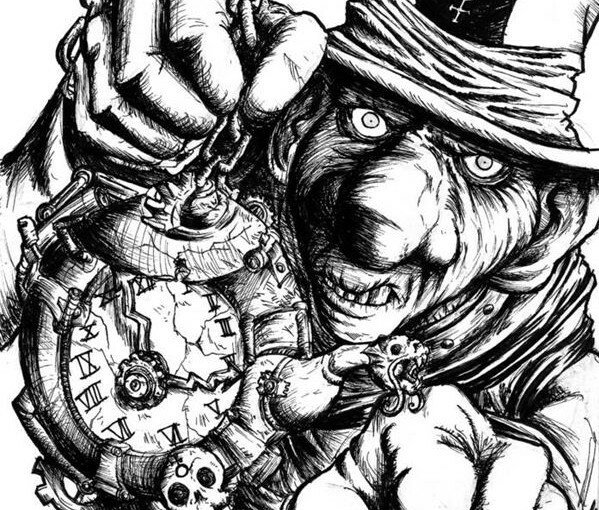 No Time is another unadulterated piece of music that comes straight from the heart, weighty and serious. There is a depth of feeling apparent in the vocals and the powerful music that you can’t help but get involved with. An impassioned, heartfelt song that pulls at the heartstrings. The lament continues with Infront of Me, elementary passions pour out unheeded from the soul of the music and you find yourself in the middle of an emotional pull. Profound and sincere, there is an earnest plea at the heart of it all. Remembrance Day begins with the tolling of a bell and music that brings to mind the horrors of war. Doleful and dramatic it grabs your attention immediately, we will honour those that fought so we could have a better life. There is a solemn and weighty feel to the song yet one that commands and deserves respect. You find yourself engrossed in this philosophical and reflective track, rapt with the memories it invokes. The final track on this thoroughly enjoyable musical journey is Usurper, a gentle, meandering introduction leads into a graceful guitar that increases in tempo and vibrancy before the vocals kick in on perhaps the most commercial track on the album with its Floyd-like feel and tempo. The guitar flashes add style and substance to what is already a very good song and it leaves you on a high as it comes to a satisfying close. I know Arny will have moved onto his next album by now but I found ‘Supernatural Casualty’ to be a box of delights. At sixteen tracks it is perhaps two or three songs too long but that doesn’t detract from what is a thoroughly satisfying piece of music and one that has introduced me to the Geof Whitely Project, an artist I will definitely be keeping my eye on going forward. Thoroughly recommended.